Toronto-based Quadrangle Architects recently won three awards for their renovation and expansion of 60 Atlantic Avenue, a 115-year-old heritage property in Toronto’s Liberty Village neighbourhood: a Toronto Urban Design Award, an ARIDO Award, and an Architect’s Journal Retrofit Award from London, UK. Designed for client Hullmark Developments Ltd., 60 Atlantic boasts a unique approach to historic preservation and sets a precedent for adaptive reuse and mixed-use intensification in Toronto’s formerly industrial neighbourhoods. A contemporary Corten steel and glass service core visually slices into the original façade, authentically updating the heritage building with a spirit that honours the area’s industrial vernacular and supports the neighbourhood’s new internationally connected creative community. A newly excavated outdoor courtyard and accessible main entrance transform the intersection into a dynamic hub that serves and strengthens the young community. 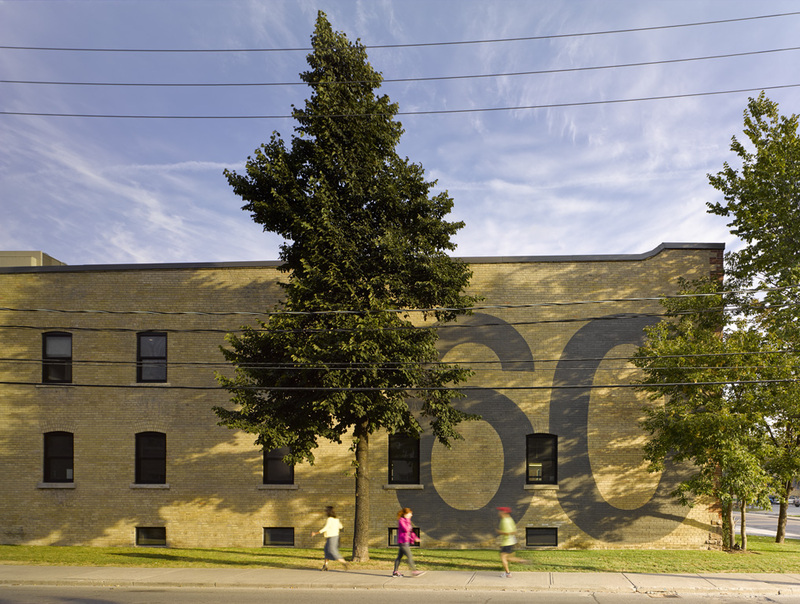 Landscaping and a “60” supergraphic by local artist Pascal Paquette soften the brick and activate the building’s edges along Liberty Street and Jefferson Avenue, creating engaging streets that enhance the pedestrian experience and foster a vibrant public realm. The updated design and materials visually illustrate the building’s history. Where reconstruction and restoration were required, new grey brick was used, contrasting with the original buff brick. This augmented the building’s brick stratum, which through changing materials already told the story of its transformation over a century. On the interior, an artistic film with a historic map of the neighbourhood draws on the site’s past to provide shade and privacy for its users. 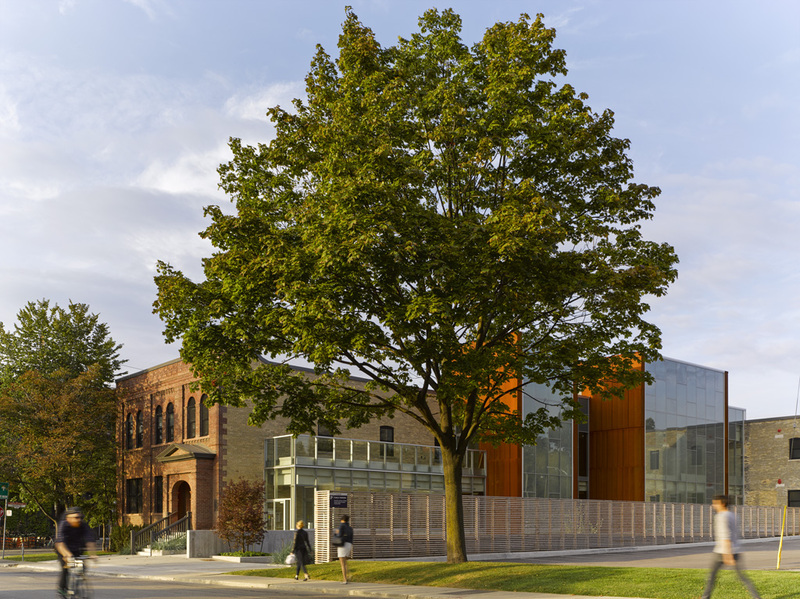 The three awards that Quadrangle received were: a Toronto Urban Design Award in the Low-Scale Buildings in Context category; an AJ Retrofit Award for International Innovation; and an ARIDO Award in the Restoration and Adaptive Reuse category. For more information about Quadrangle Architects, please visit www.quadrangle.ca.